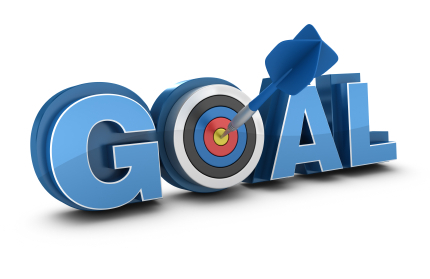 Over the last few weeks, I’ve been writing about goal setting and how it applies to personal finance. Here’s a link to my articles on the importance of goal setting and a step-by-step guide to goal setting for money management. So what are the keys to staying on target? Why do some people achieve so much with so little, while others never seem to get ahead? Here are my top 20 tips to goal achievement. These principles have worked for me when it comes to money, work and life in general. I hope they work for you, too. They are in no particular order. 1. Give yourself permission to be excited and passionate about your life and finances. 3. Create a symbol or talisman to represent your goals, and keep it close. This could be something as simple as a red dot stuck inside your wallet. 4. If you’re frightened of failing, acknowledge the fear and do it anyway. 5. Keep your goals to yourself if you think others would not respect or understand them. 6. Visualise the outcome of your goals regularly. Feels good, doesn’t it? 7. Take one step at a time. Break big goals into a series of smaller ones. One MyBudget client says she writes her big goals in the centre of a paper flower and the mini-goals on petals around the outside. Every time she completes a milestone, she gets to remove a petal! 8. Stay positive. If you find yourself focusing on negative thoughts, spend 10 minutes writing down all the reasons you can achieve your goals. 10. Focus on the behaviours and actions (practical things) that will move you towards your goals. 11. Embrace change and learn from your mistakes. 12. Graciously accept assistance and advice from others if you think it could be helpful. 13. Graciously decline assistance and advice from others if you think it could be unhelpful. 14. Keep your goals simple. If they feel complicated, difficult or boring, redefine them. 15. Don’t let your goals become a monster. You control them; they don’t control you. 16. Balance your financial goals with other goals in life. 17. Adopt a warrior attitude. Fiercely defend your goals from the enemies of temptation and distraction. 18. Flow like a river. If an obstacle blocks your path, go around it, over it, under it. 19. Keep going. If you miss a milestone this week/month/year and stay focused, you’ll get it next time. 20. Call MyBudget and speak with our customer service team. We're here to help!